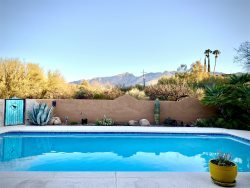 Coronado Place is located in a comfortable and pleasant residential neighborhood, close to "restaurant row", just 4.5 miles from Sabino Canyon, near Udall Park, and is generally convenient to most Tucson attractions. 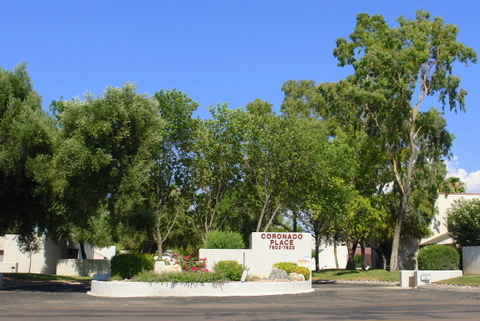 Coronado Place is on the southeast corner of Pio Decimo and Tanque Verde, just east of Udall Park. 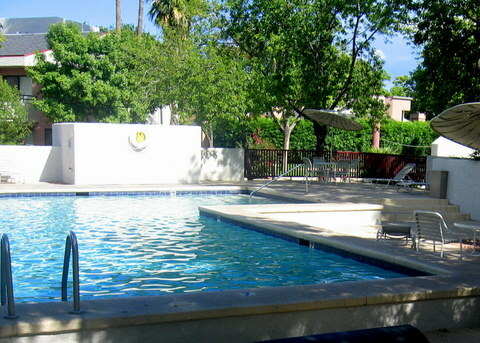 The community pool for the Coronado Place condos is not heated. 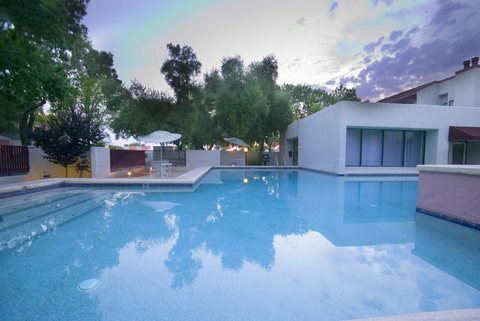 There is a hot tub right next to the pool and one other hot tub available on the grounds. 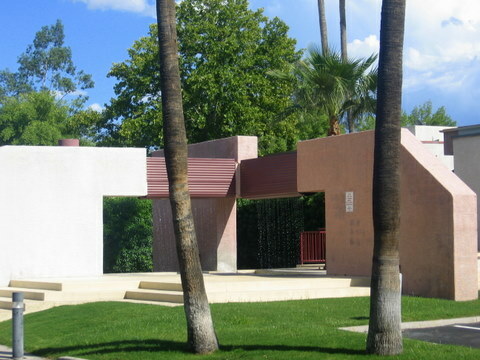 Restrooms are on-site at the pool. Scroll down to view available Properties for Rent at Coronado Place.